So right after the first of the year, I was determined to start eating better. Let’s discuss later why I haven’t kept it up too great! 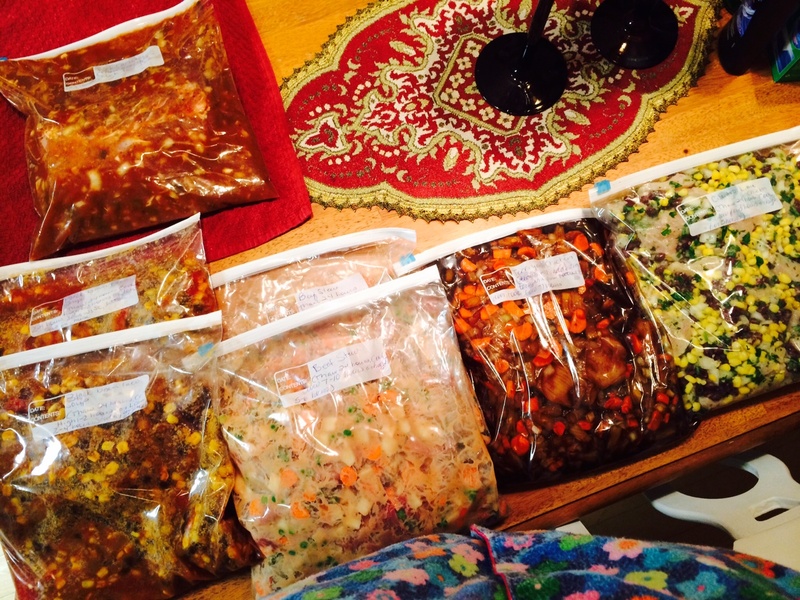 ANYWAY…..
Freezer meals became my new obsession. It was the perfect way to get my hubby and I into cleaner eating. Sure, it would take a few hours to prepare but come on! Perfect way to eat healthy despite our crazy lifestyle. I scoured Pinterest and other sites until I had a ton of recipes to choose from for our trusty slow cooker. I had Hubs choose from the narrowed down options and I went shopping! The bill for our regular groceries and all the extra stuff was about $200 since we had NOTHING in our house. It was worth it and taught me a lot about buying for the next haul. I only wish I had made more and used them all ever quicker. Very excited for batch #2! The first one was dynamite and the Six Sisters know what they are doing. SO GOOD! Number 2 was amazing too especially when you add low-fat cheese and low-fat sour cream and serve it with Santitas chippies! Number 3 was great but you really have to adhere to the timing. If left in the slow cooker too long, it can become dry. I like beef stew with some juices and maybe a roll. Number 4 is currently defrosting. 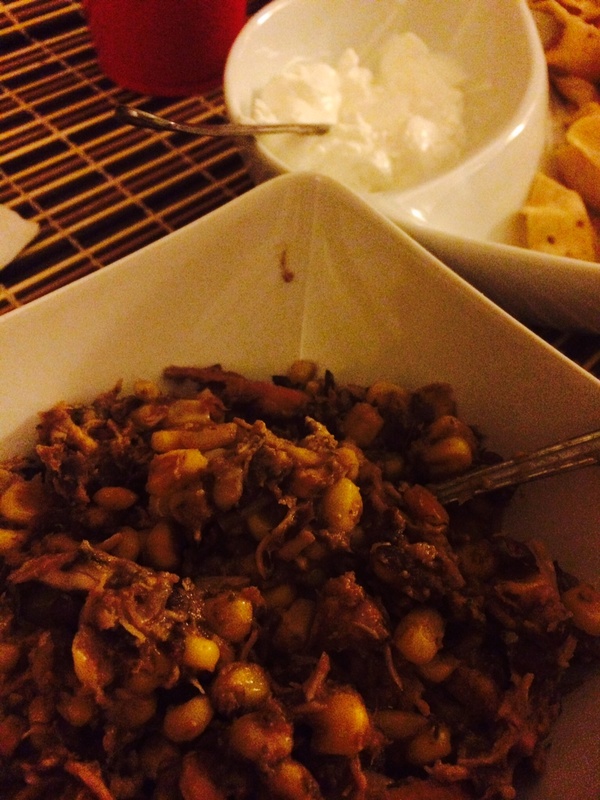 Saddle up for Pork Carnitas! Number 5 was our favorite by far. The recipe consisted of chicken (4-6 breasts), carrots, 1 onion, 1 can of pineapple with juice, minced garlic, salt and pepper to taste, and teriyaki sauce (no more than 1 cup). Throw it in a freezer bag and then when you are ready, defrost it overnight. Cook in the crock pot for 6-7 hours on Low. We were at work for a bazillion hours so we started it on Warm for over 6 hours and then on low for a few more. I added a little bit more teriyaki sauce, less than 1/4 cup of brown sugar, and more salt and pepper. Served over some long grain rice? YUMMO! Now if only we defrosted them more often! I want to try and use these more often. 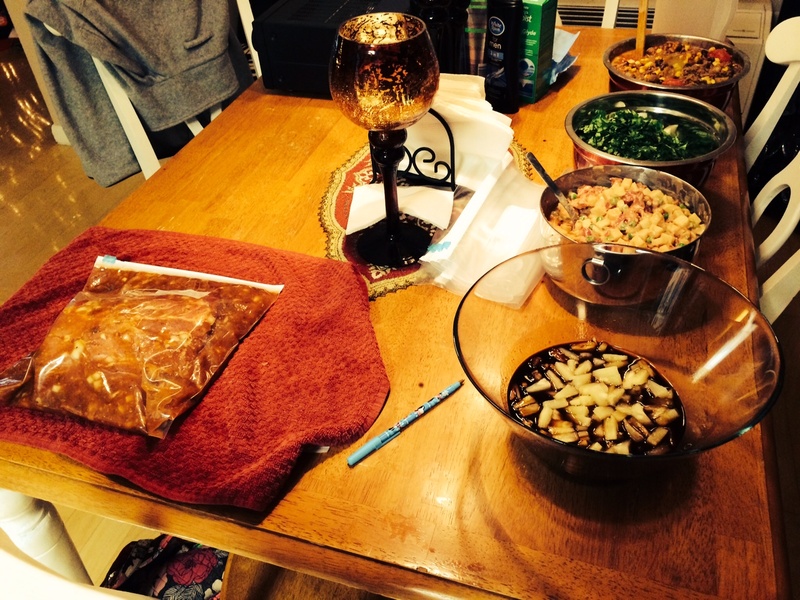 Here is to more Crock Pottery and slow cooking our way to summer and slimmer waistlines! Stay tuned for Take 2! Picture 1: Step by step! Picture 2: Completed meals split up for even more nights of deliciousness! Picture 3: Cilantro Lime Chicken, not the best pic but SO GOOD! 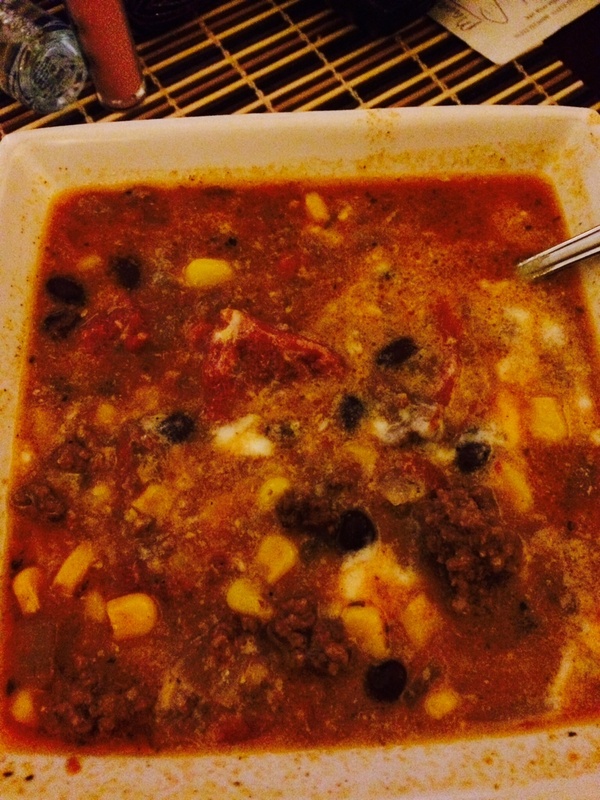 Picture 4: Black Bean Taco Soup with sour cream and cheese mixed in! YUM!